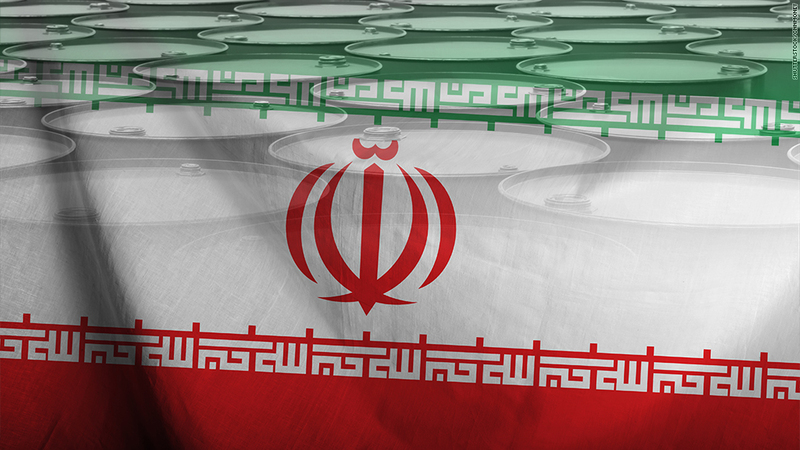 Iran is nearing an historic nuclear deal with the West -- and that's scaring the oil markets. Oil prices dropped below $51 a barrel on Tuesday for the first time since early April. The latest slide comes after negotiators once again extended a deadline to reach a nuclear deal and said "substantial progress" has been reached. American drivers may have even lower prices to smile about in the future, especially if an Iran nuclear deal gets done. The national average gas price could return to nearly $2 a gallon later this year, said Tom Kloza, chief oil analyst at the Oil Price Information Service. The national average is currently sitting at $2.77. For now all eyes are on Iran, which has the fourth biggest oil reserves in the world. A big part of the nuclear deal is that the West will lift sanctions on Iran, allowing it to increase its oil exports. That could be a game changer by deepening the oversupply of oil and sending prices down even further. "You could have a bunch of crude hitting the market in 2016 -- probably when it needs it least," said Kloza. Why oil is falling: That's one reason why oil is in free-fall mode, tumbling 11% this week alone. Prices were also hurt by more evidence that OPEC hasn't been able to kill off American shale oil production. Last week the number of active drilling rigs in the U.S. rose for the first time since early December. Oil markets -- just like other financial markets -- are also being rattled by the Greek voters' decision to reject the European Union's latest bailout offer. While Greece is facing a scary economic future, the country only uses 0.3% of global oil anyway, according to Capital Economics. Iran deal nears: The Iran factor is more influential on oil prices than Greece. Iran has 158 billion barrels of oil reserves, but that oil has been largely blocked from the global markets due to sanctions against Iran. Iran and the West reached a framework for a deal in April and then a June 30 deadline for a full agreement was extended to July 7. The State Department announced on Tuesday the deadline has been extended until July 10. "We're frankly more concerned about the quality of the deal than we are about the clock," a State Department official told reporters. Over the holiday weekend, a Russian official told the country's media that a deal is more than 90% ready and most of the remaining issues are more procedural than technical. While there is "no guarantee" a deal will be inked, "all signs so far look promising," Thomas Pugh, commodities economist at Capital Economics, wrote in a note on Monday. Supply glut would worsen: Eventually, a deal could allow as much as 1 million barrels per day of Iranian crude oil to return to global oil markets. Due to continued oversupply, oil prices could soon dip back into the high-$40 range, Kloza said. "There is probably no worse time for Iran to be re-entering global markets with a significant boost in exports than now," Edward Morse, global head of commodities research at Citigroup, wrote in a recent research report. That presents a Catch-22 for Iran, whose economy could really use the influx in oil revenue. If it pumps oil too quickly, that could hurt the price of oil Iran wants to stay elevated. That's why Brenda Shaffer, a professor at Georgetown University, said she wouldn't be "surprised if the Iranians get up to a little mischief that will help bump up oil prices." In the past Iran has been accused of sponsoring terror attacks in nearby countries, including rival Saudi Arabia. Regardless, there is much skepticism about just how quickly Iran can truly ramp up production. A lot of Iran's oil production originates in very old wells that are in need of repair. "Even if a deal was reached, they won't be able to produce all of that oil right away. It's not like turning on your faucet," said Rob Thummel, a portfolio manager at Tortoise Capital.